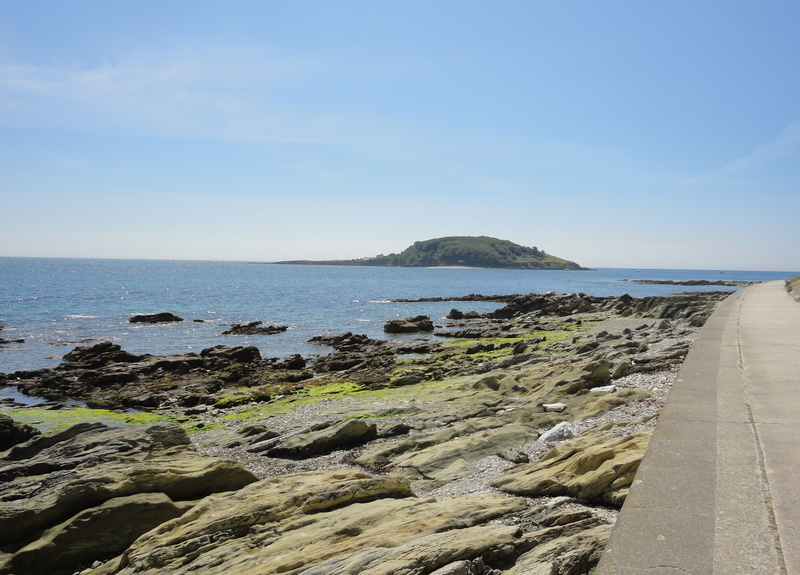 Hannafore Beach with Looe Island Nature Reserve in the background. 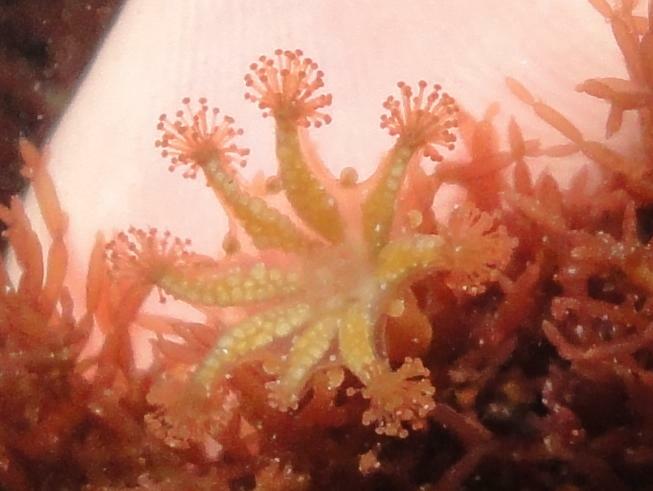 Hannafore is one of the best rockpooling sites in Cornwall. 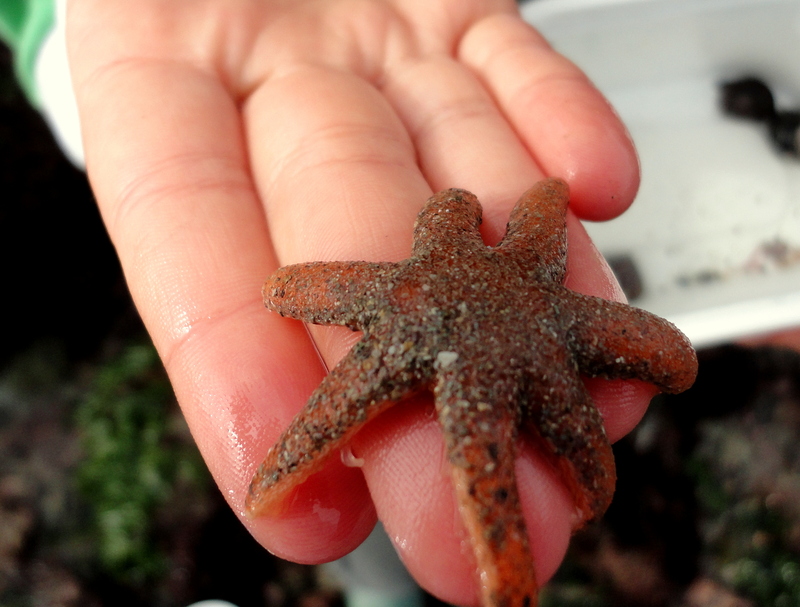 With the Looe Island marine nature reserve as a backdrop and a vast expanse of easily accessible tidal pools, it’s easy to see why Hannafore is such a popular spot for holidaymakers and marine biologists alike. 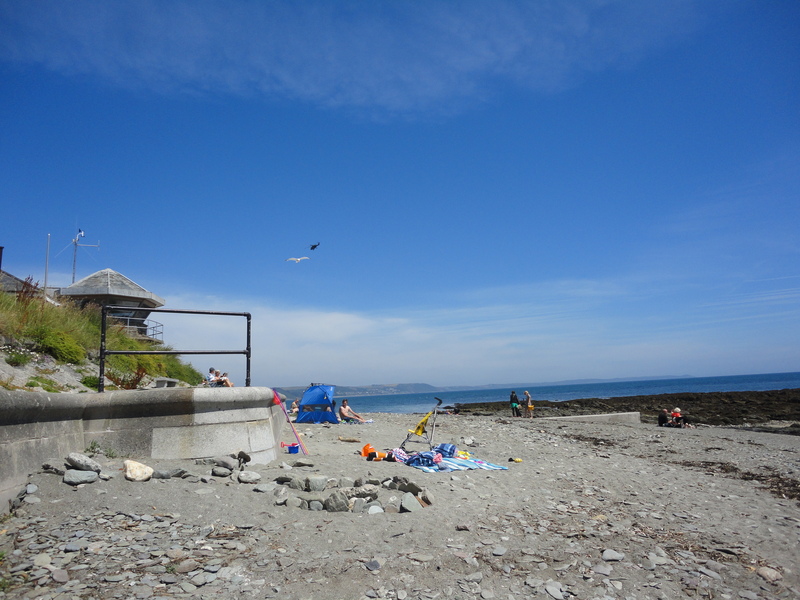 Looe is accessible by train, bus and car, with free parking available on the seafront at Hannafore. Find out more at Visit South East Cornwall. Public toilets and seasonal cafés available by the Coastguard hut. The beach can be accessed by a ramp and, after a short stretch of sand and gravel, a paved path leads out among the rocks. 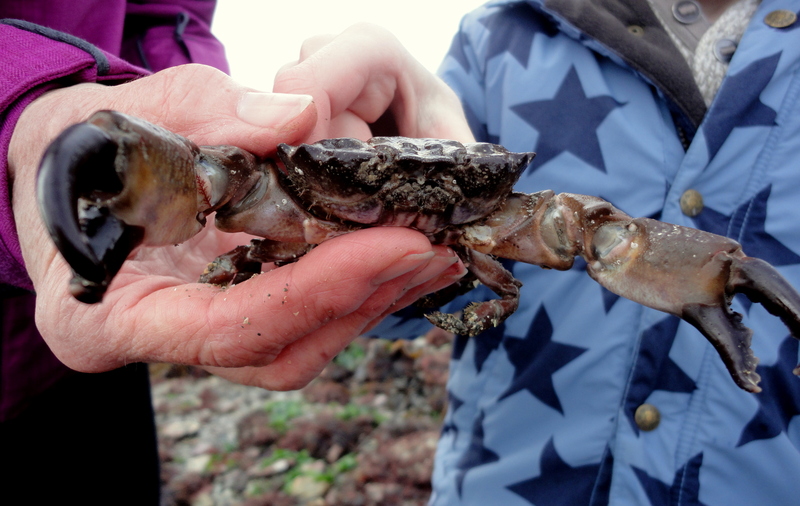 Explore the rocky gullies to find many species of crab and starfish. 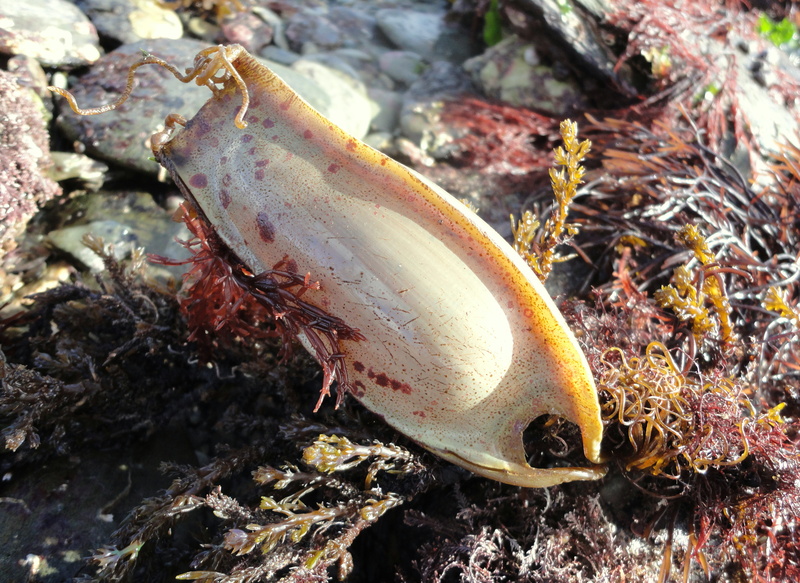 Look out for the egg cases of the nursehound (a small shark) among the seaweed. Beyond the rocks, search for brightly coloured dahlia anemones nestling in the gravelly seabed. 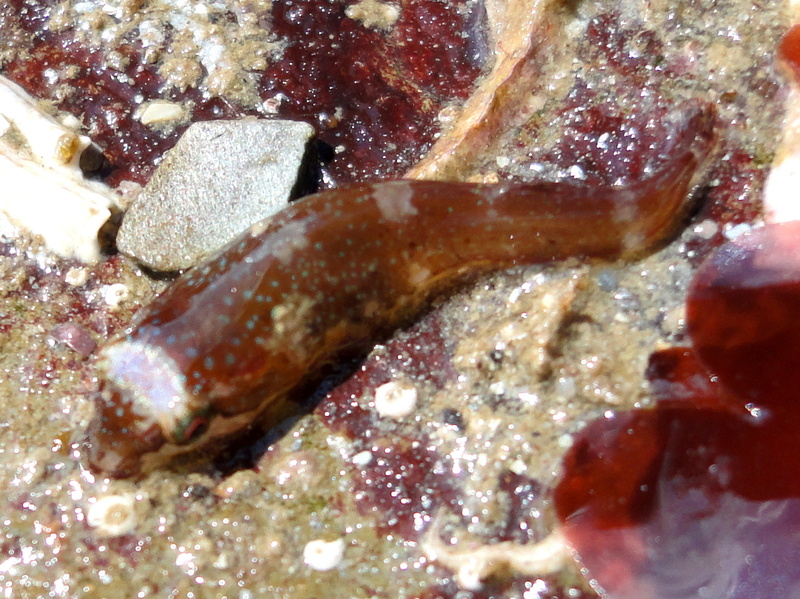 If you get your eye in, you might also spot stalked jellyfish, two-spotted clingfish and more. A stalked jellyfish – haliclystus octoradiatus – at Hannafore, Looe. 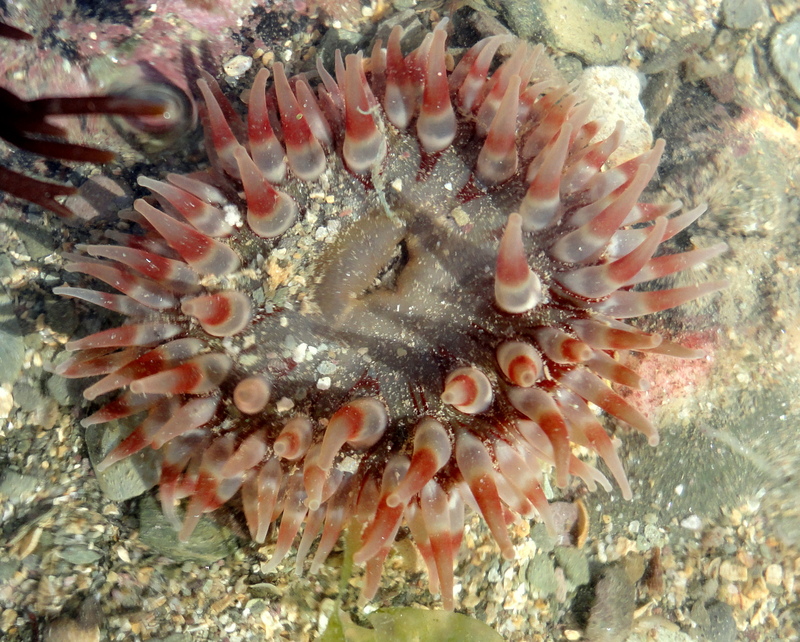 A beautiful dahlia anemone (Urticina felina).